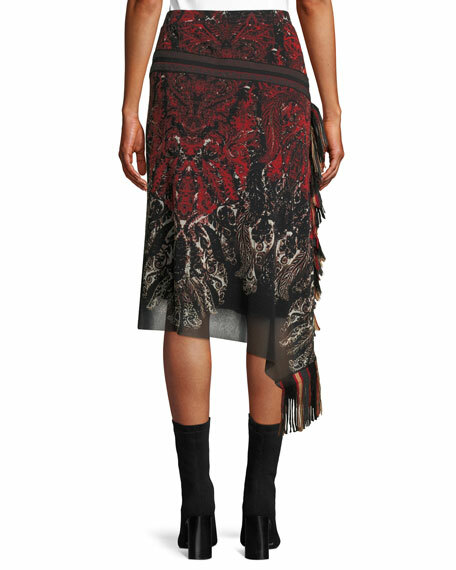 Fuzzi feather-print skirt in tulle mesh. Wrap style with fringed sides. 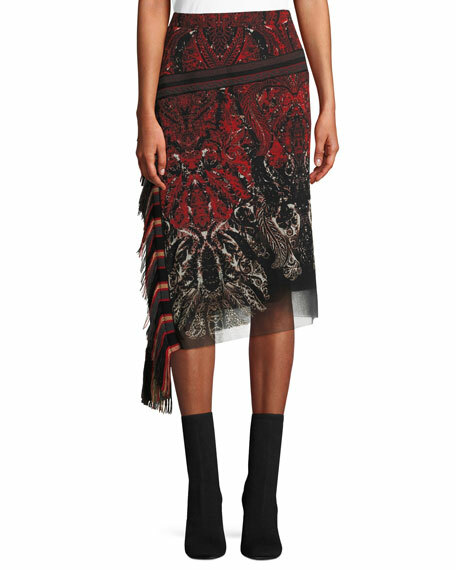 For in-store inquiries, use sku #2648071.